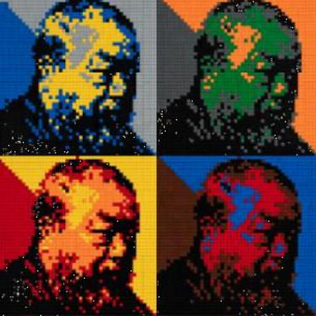 The Chinese artist Ai Weiwei has donated two works - both made with Lego bricks - to Florence museums. The first one is a self-portrait, in which the artist\'s face is replicated four times and characterized by the use of primary colors. The work is going to become part of the prestigious Portraits Collection of the Uffizi Gallery. Starting from November it will be displayed in the new rooms dedicated to the collection. According to the director of the Uffizi, Eike Schmidt, it is a very important acquisition for the museum: the Weiwei\'s self-portrait reflects on the theme of the multiple in the contemporary self-portrait. The other work is a variant of the Portrait of Filippo Strozzi. It will be donated to the Palazzo Strozzi Foundation. Weiwei thus pays homage to the museum where his exhibition - which has hosted about 150,000 visitors in four months - was hosted. Filippo Strozzi is part of the series of works dedicated to political opponents, even from the past. The collections of the Florence museums are enriched with two important works of contemporary art.